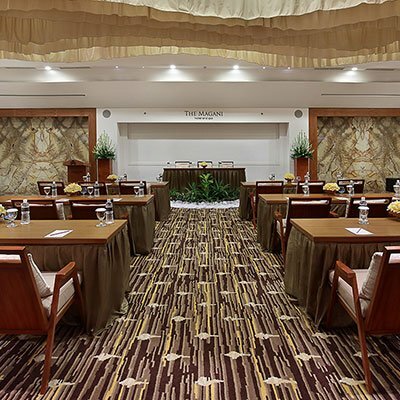 Meet in style at PMG Hotels & Resorts in the air-conditioned comfort of our elegant Ballroom that is designed to accommodate up to 200 people for a standing cocktail reception. 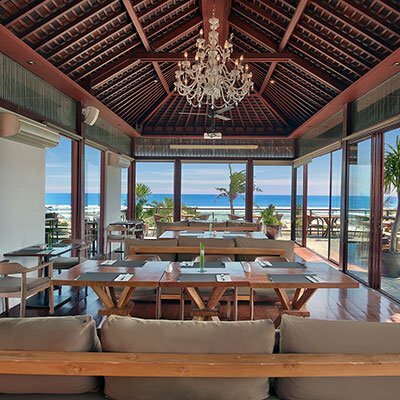 This elegant space can be divided into smaller breakout rooms for business and social gatherings. 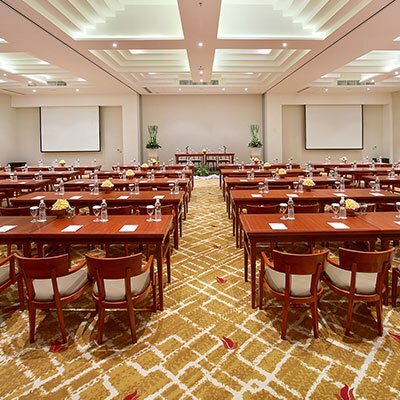 Supported by an in-house multi-media system and WiFi internet access, the venue can be configured with classroom or round table set-ups in accordance to each specific event. Half-board and full-board meeting options are available.